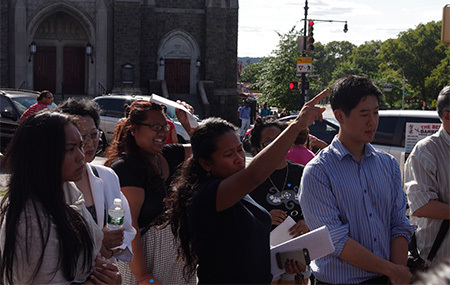 On Thursday, August 15, 2013, the Asian American Federation organized a walking tour of the Southeast Asian community in the Bronx. 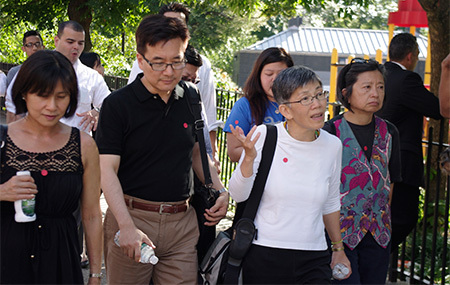 Hosted by Mekong, the community group serving the Vietnamese and Cambodian immigrants in the Bronx, the tour was attended by 35 community leaders, educators, activists, and elected officials. 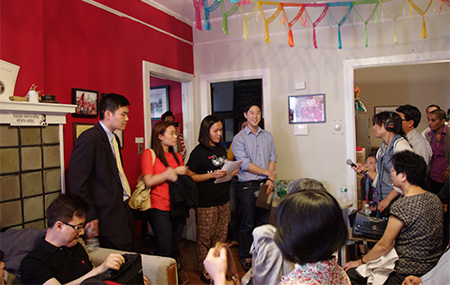 Led by Chhaya Chhoum, Mekong’s executive director, and the organization’s youth leaders, the two-hour tour took the groups to the building where the first wave of Southeast Asian refugees were housed and that is now home to the newest refugees from Asia, to the park that served as an informal community space for seniors until regulations displaced them, to the commercial district with restaurants and grocery stores, to the Kingsbridge Armory. The final stop on the tour was in front of a healthcare facility frequented by residents until budget cuts limited the number of interpreters. 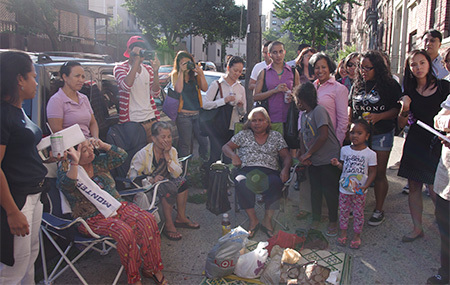 Business owners, residents, youth and activists discussed their individual and community achievements, and the unmet needs that prevent them from turning this corner of the Bronx into a more vibrant neighborhood. Special thanks to Michael Myung, the Federation’s summer intern, who embraced the daunting task of presenting our City’s northernmost Asian enclave, and to Dalena Hoang, Mekong’s lead organizer, for coordinating the day! 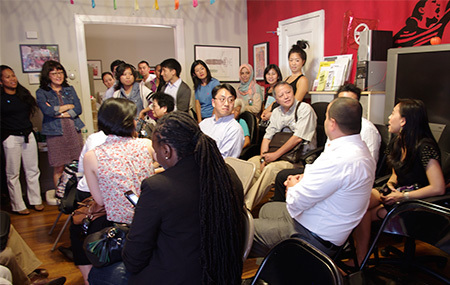 And, thanks to all the participants who came out to listen and learn in order to become another one of this underserved community’s champions.